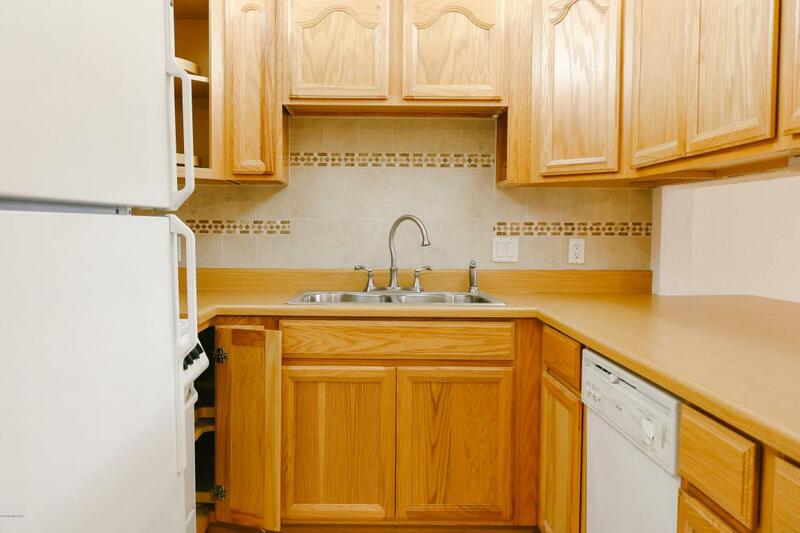 Fabulous updated unit in Langley Gardens! Currently undergoing fresh ext paint. 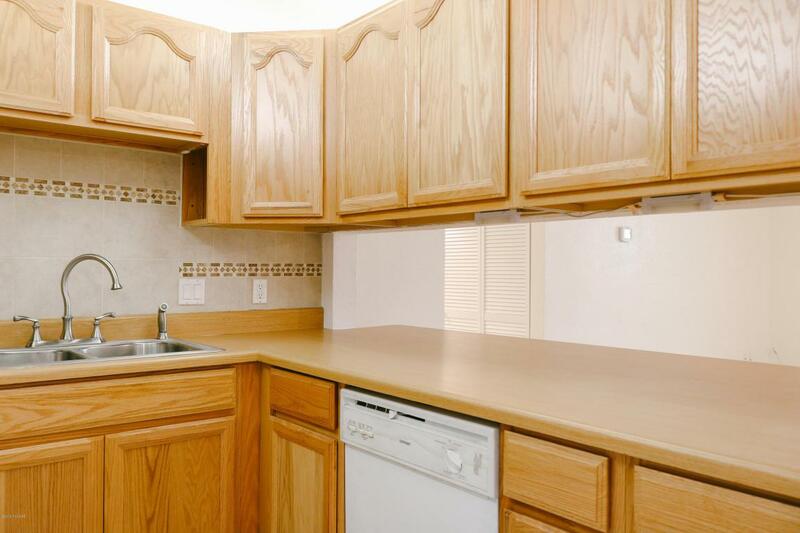 Adorable kitchen with cabinets and counter tops replaced in 2015. Ceramic tile back splash, under-mount cabinet lighting, and tin accent above the gas stove. Spacious great room and dining area. 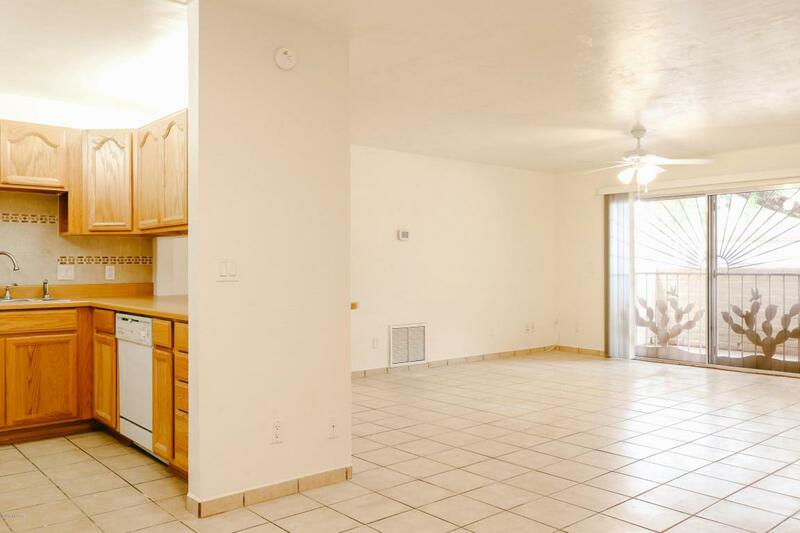 Ceramic tile floors throughout main living areas. Master suite includes walk-in closet with built-in shelving and bath with walk-in shower. Large covered patio and artistic security bars on doors and windows. 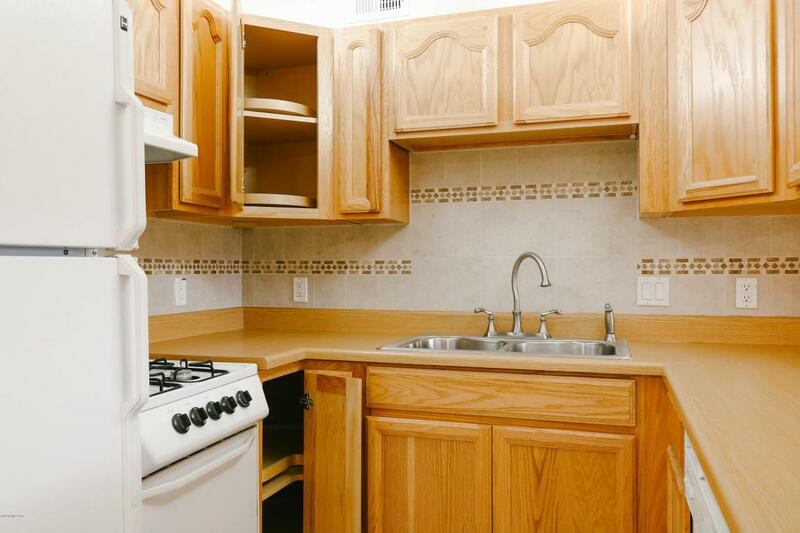 Carport is conveniently located just outside the unit. Fridge, washer and dryer convey! Fantastic amenities include 2 pools(one is heated year round), baby pool, spa, rec center, basketball court, playground, and jogging/bike path. HOA includes hot water and pest control. This one won't last long!